Earlier this week we brought you a list of Top 5 naked bikes under INR 2 lakh in India. 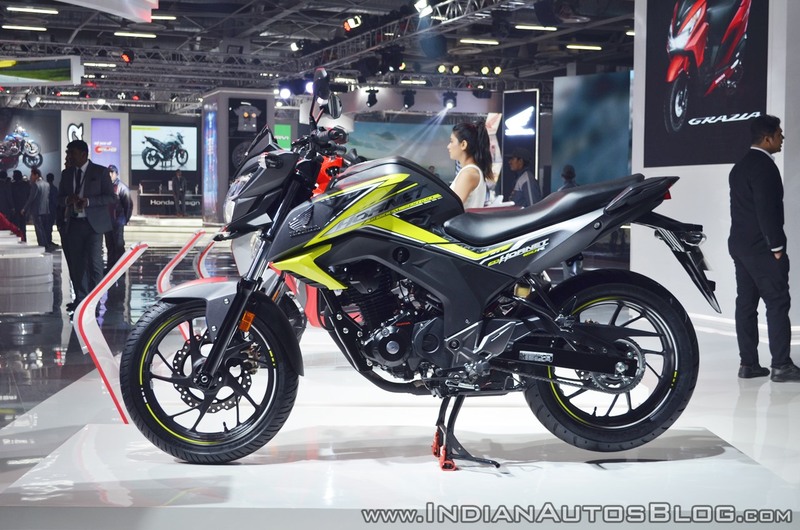 The entry-level performance bike segment in India includes motorcycles like the Suzuki Gixxer, Hero Xtreme 200R, Bajaj Pulsar NS200, and the TVS Apache RTR 200. Here is a list of the top 8 naked 'sport' motorcycles in India under INR 1 lakh. The Suzuki Gixxer is a naked streetfighter that draws design inspiration from the flagship Suzuki GSX-S1000. The Gixxer also happens to be the most affordable bike in India with an optional ABS. The bike is priced between INR 77,015 to INR 87,664 (ex-showroom Delhi), depending on variants. The Suzuki Gixxer sources power from a 154.9 cc, air-cooled, single-cylinder motor with SEP (Suzuki Eco Performance) technology. The engine is tuned to produce a maximum power of 14.60 bhp at 8,000 rpm along with peak torque of 14 Nm at 6,000 rpm, coupled to a 5-speed transmission. Similar to the Bajaj Pulsar NS160, the TVS Apache RTR 160 4V is based on its elder sibling, the TVS Apache RTR 200 4V. The motorcycle features a race-developed split cradle chassis and a rear mono-shock developed in cooperation with Showa. 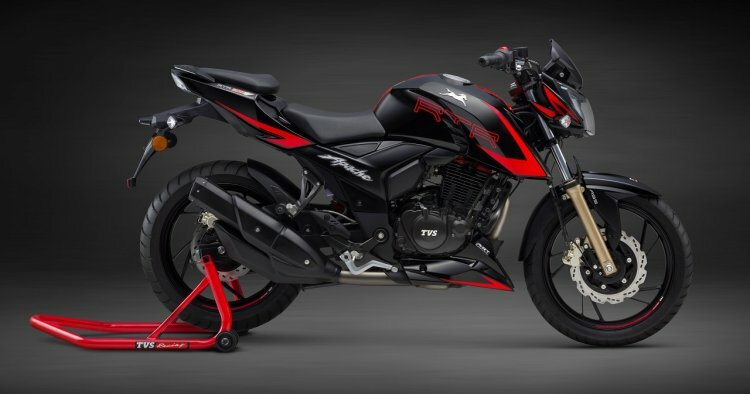 The TVS Apache RTR 160 4V use a newly developed 160.3 cc, single-cylinder, 4-valve engine with O3C (Oil-Cooled Combustion Chamber) technology with a ram-air assist. The motor churns out 16.8 PS of maximum power at 8,000 rpm and 14.8 Nm of peak torque at 6,500 rpm, mated to a 5-speed gearbox. The bike gets an optional Bosch fuel injection system. 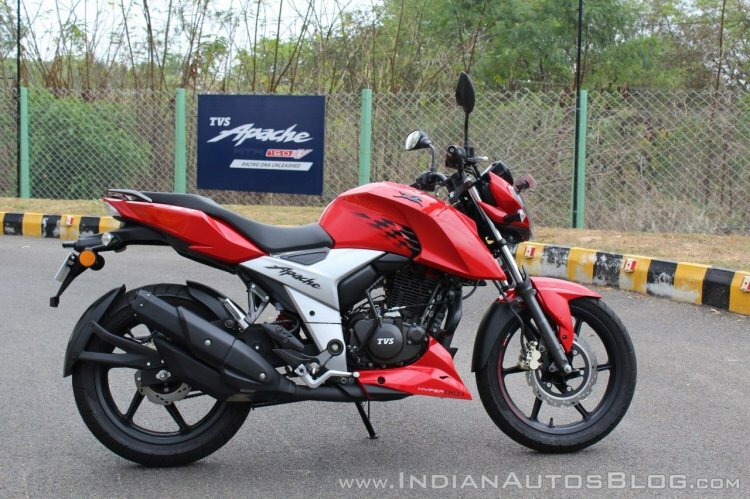 The TVS Apache RTR 160 4V retails at INR 82,535 for the rear drum brake variant, and INR 85,535 for the twin disc model, while the FI version costs INR 91,535 (all prices are ex-showroom Delhi). 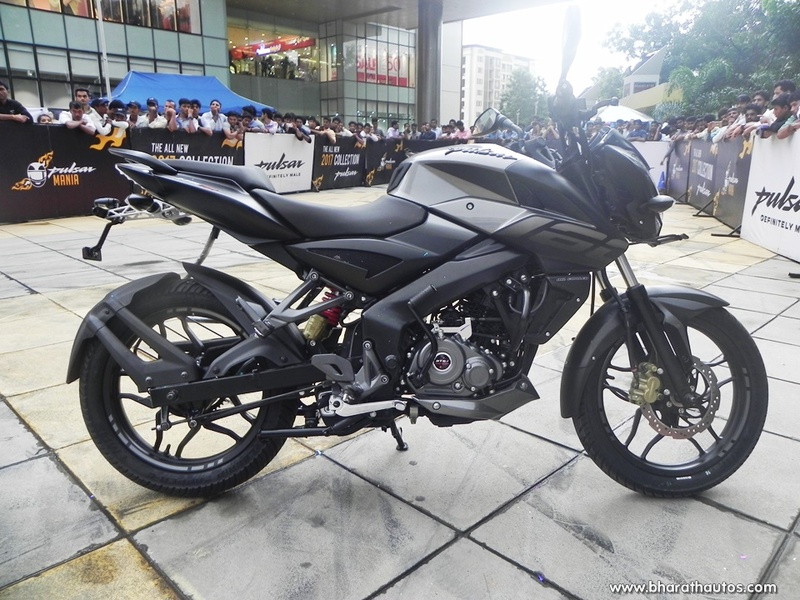 The Bajaj Pulsar NS160 shares its underpinnings with the bigger Bajaj Pulsar NS200, while the engine is an all-new 4-valve unit. The motorcycle uses the perimeter frame, instrument cluster, body panels and other mechanicals of the NS200. However, it uses different front forks and a smaller swingarm. 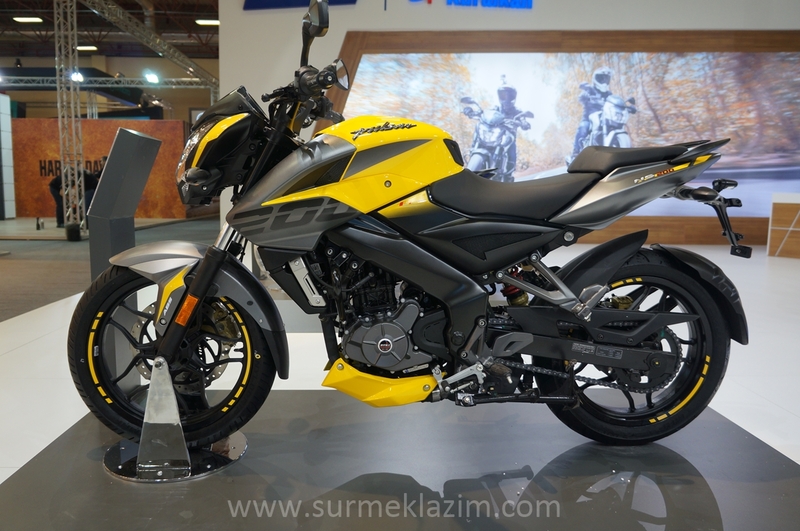 The Bajaj Pulsar NS160 sources power from a 160.3 cc, single-cylinder, oil-cooled mill that produces 15.5 PS of maximum power at 8,500 rpm while developing 14.6 Nm of peak torque at 6,500 rpm. The four-valve engine pairs to a 5-speed gearbox. 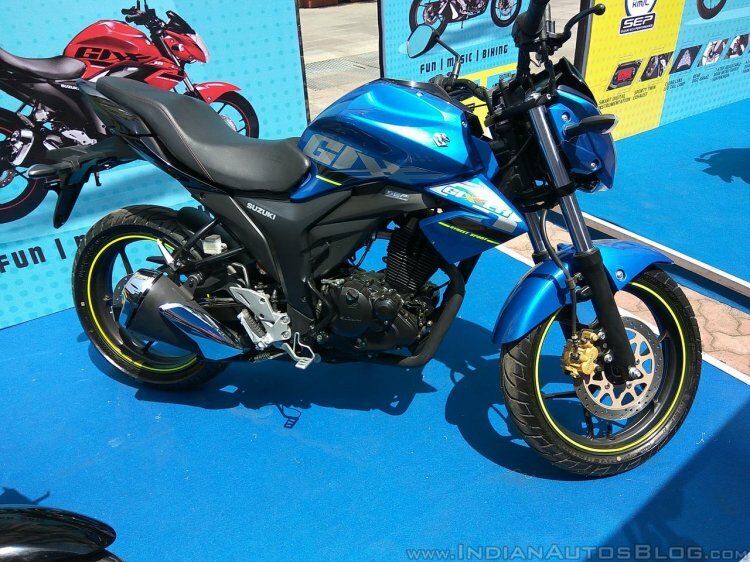 The Bajaj Pulsar NS160 comes with a price tag of INR 84,691(ex-showroom Delhi). 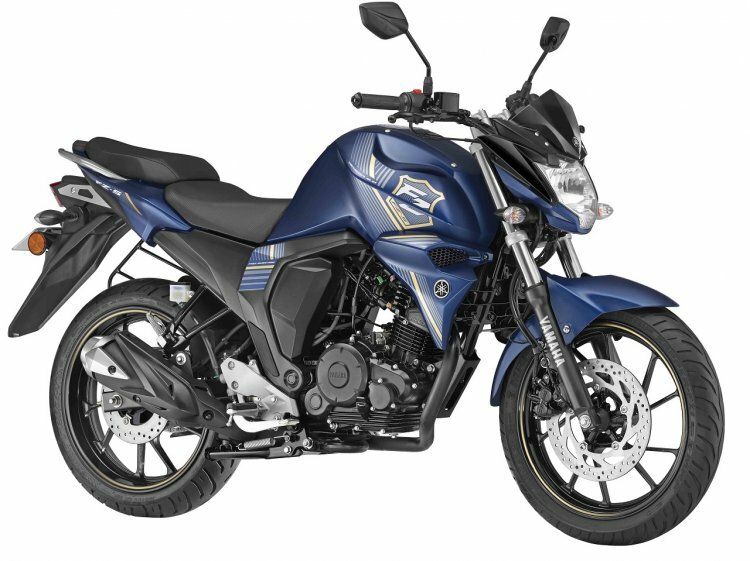 The Yamaha FZ S FI is the only motorcycle in its segment to come with a fuel injection system as standard. The bike comes with features like an all-digital instrument cluster, optional rear disc and fat tyres. Powering the Yamaha FZ S FI is a 149 cc, single-cylinder, 2-valve, air-cooled engine that produces 13 bhp of maximum power at 8,000 rpm and 12.8 Nm of peak torque at 6,000 rpm with a 5-speed transmission. The Honda CB Hornet 160R is available in the price bracket of INR 85643 to INR 93,643 (ex-showroom Delhi). The sporty commuter comes with an optional single-channel ABS unit. Key features on the bike include LED headlamp digital instrument cluster, LED taillight, and petal disc brakes. Power on the Honda CB Hornet 160R is derived from a 162.7 cc, air-cooled, single-cylinder engine with HET (Honda Eco Technology). The motor generates 14.9 bhp of maximum power at 8,500 rpm and a peak torque of 14.5 Nm at 6,500 rpm, mated to a 5-speed transmission. The Hero Xtreme 200R is the most affordable 200 cc segment bike in India, currently priced at INR 89,900 (ex-showroom Delhi). It is also the only motorcycle to come equipped with a standard single-channel ABS unit. 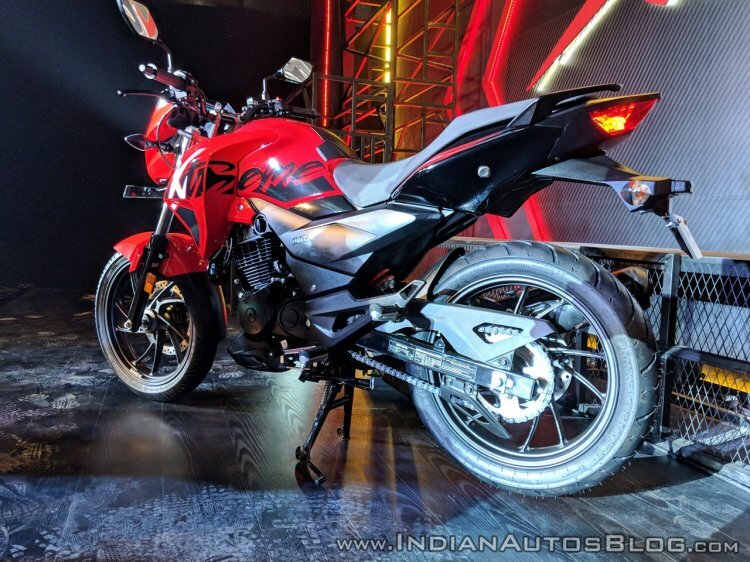 The Hero Xtreme 200R uses a 199.6 cc, air-cooled, single-cylinder, 2-valve engine that pumps out 18.15 bhp of maximum power at 8,000 rpm while developing a peak torque of 17.1 Nm at 6,500 rpm. The motor comes mated to a 5-speed transmission. The Xtreme 200R comes with a fuel tank capacity of 12.5 litres, while it has a kerb weight of 148 kg. The TVS Apache RTR 200 4V is one of the highest selling 200 cc-segment bikes in India. It is the first motorcycle in its class to feature a slipper clutch and dual-channel ABS as an option. The Apache RTR 200 uses a race-developed split cradle chassis and KYB-developed suspension components. The TVS Apache RTR 200 4V employs a 197.75 cc, single-cylinder, 4-valve motor with O3C (Oil- Cooled Combustion Chamber) technology. The engine is capable of producing 21 PS of maximum power at 8,500 rpm and 18.1 Nm of peak torque at 7,000 rpm, mated to a 5-speed gearbox. The TVS Apache RTR 200 4V retails at INR 96,730 for the base variant, and INR 1,09,430 for the FI model, while the FI ABS version costs INR 1,10,530 (all prices are ex-showroom Delhi). The Bajaj Pulsar NS200 has been around in the domestic market for the 6 years and has started to show its age. Over the course of time, the bike hasn’t received any substantial updates, apart from new paint schemes and sticker jobs. The 2017 update saw the compulsory introduction of a BS-IV compliant engine, an engine cowl and a new paint scheme. The Bajaj Pulsar NS200 employs a 199.5 cc, single-cylinder, Triple Spark, liquid-cooled engine that is capable of producing 23.5 PS of maximum power at 9,500 rpm along with 18.3 Nm of peak torque at 8,000 rpm. The four-valve motor works in harmony with a 6-speed transmission. The Bajaj Pulsar NS200 is the most expensive bike in this list. It is available at a sticker price of INR 1,00,179 for the non-ABS model, while the ABS model retails at INR 1.12 lakh (both the prices are ex-showroom Delhi).